Birmingham is the second largest city in the UK. It is located very close to the geographic centre of England and is one of England’s principal industrial and business regions. It is also an important cultural city in the UK. The city itself has a population of around 1,140,000. The wider Birmingham metropolitan region is the UK’s second largest with a population of about 4 million. During the medieval times, Birmingham was a market town, which grew exponentially in the 18th century Industrial Revolution. This period saw great advances in technology, science and economic development. By 1791 Birmingham achieved the lofty title of “the first manufacturing town in the world”. It’s economic profile comprised thousands of small businesses and workshops practising a vast range of specialised skilled trades, demonstrating extraordinary innovation and creativity. The Watt steam engine, a key factor in the industrial revolution was invented in Birmingham in 1775. These days Birmingham is very culturally diverse, with just 53% of the population being white British. The city has many Asian residents and is famous for having a great choice of excellent curry houses. Birmingham has a very young population due to the four universities in the city, and a lively nightlife with plenty going on in bars and clubs throughout the city all year round. Unlike London, Birmingham is known as a very friendly city, and according to recent research carried out by consulting group PwC and thinktank Demos, it is the most rapidly improving place in the UK in which to live and work, partly due to falling unemployment and city development projects. 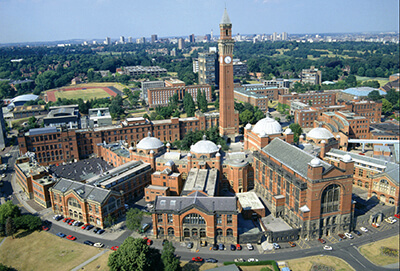 Due to its unique central location, 90% of the UK can be reached within 4 hours of Birmingham. The city lies 110 miles northwest of London, and the journey takes just 1 h our 25 minutes by train. For foreign travel, the city is served well by Birmingham airport, which is about 25 minutes’ drive from the city centre. Why Convert Your Birmingham Loft? Being England’s second largest city, Birmingham’s property prices are fairly high, though much cheaper than in the southeast. A loft conversion can add valuable space to your home, as well as add considerable value to a property. Where space is a premium, a loft conversion can be the best solution to gain another bedroom or study, allowing you more room without the hassle of moving. You will be surprised at just how much room you have in that dusty space your head. A conversion can be completed in a matter of weeks, much quicker than you may think. Much of the work in a loft conversion is carried out with no disruption to the homeowner and much less disruptive than an extension. Touchstone has converted numerous lofts in Birmingham during the last three decades. We are different from most conversion companies in Birmingham because we focus on loft conversions rather than general construction projects. All our skilled tradesmen are employed in-house meaning we do not outsource any part of the work to other companies, which allows us to maintain our high standard consistently. We can help with permits in the event it may be necessary and have yet to be turned down for loft planning permission in Birmingham. We have completed many conversions all over the UK, from basic Velux conversions to fully blown hip to gable extensions, which depending on the size of your attic can give you several extra rooms and add to the value of your property significantly. Contact us today on 0800 881 8194 or fill out the contact form, and we will contact you shortly to arrange a feasibility study and give you a free quote.